One day after the Senate Public Safety Committee passed Senate Bill 529, the Erin Elizabeth Swezey Act, the family of Erin Swezey announced it has established the Erin’s Hope Foundation. Erin Swezey was hit and killed by a drunk driver on April 4, 2009. She was a 20 year old student at Oklahoma State University. Erin’s parents, Keith and Dixie Swezey, contacted State Sen. Clark Jolley and Rep. Jason Nelson who authored the bill that would significantly change the penalties for DUI convictions, including requiring a "brand" of "DUI conviction" be put on driver licenses or identification cards of people convicted and requiring an ignition interlock on the first conviction. Part of funds from the settlement, including a contribution by the Hudiburg Auto Group, will be used to contribute to the work of a foundation in Erin’s honor. The Erin’s Hope Foundation, founded last year, will be used to educate the public and legislators concerning legislation to prevent drunk drivers from causing accidents like this in the future. The foundation will also be used to honor God and Erin's memory by providing scholarships and funding for missions activity in the United States and abroad. The Swezey’s have launched a Facebook page, “Erin Swezey Act,” to educate the public about the bill and its progress in the legislature. There is also a website dedicated to the legislation, erinswezeyact.com. Updates on the legislation are also being posted on Twitter. Member of the Oklahoma House of Representatives voted today to implement a new grading system – for schools, not just students. 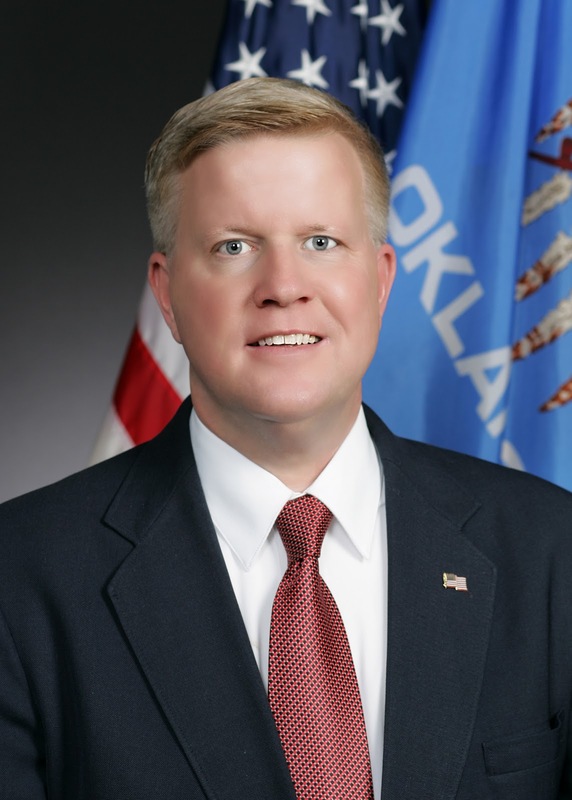 Under House Bill 1456, by state Rep. Lee Denney, Oklahoma’s public schools would be given an annual grade of “A” to “F” based on student performance on state tests. Under the legislation, annual reports would be issued giving letter grades to schools based on student performance on the Oklahoma School Testing Program. “F” means schools failing to make adequate progress. Schools receiving an “A” or those that improve at least two grade levels in a year would be rewarded by granting them greater authority over the allocation of the state-funded portion of the school’s budget. Each school’s grade would be based on a combination of student test scores on all criterion-referenced tests and end-of-instruction tests, student learning gains in reading and mathematics, and improvement of the lowest twenty-fifth percentile of students in reading and mathematics. For high schools, 50 percent of the school grade would be based on the above-listed factors and the other half of the grade would be graduation rates, student performance on the ACT and SAT, and similar factors. House Bill 1456 passed the Oklahoma House of Representatives on a 65-32 vote. An Edmond couple is hoping stronger DUI laws can help prevent other families from enduring their heartbreak. Keith and Dixie shared their story at a State Capitol press conference Wednesday. 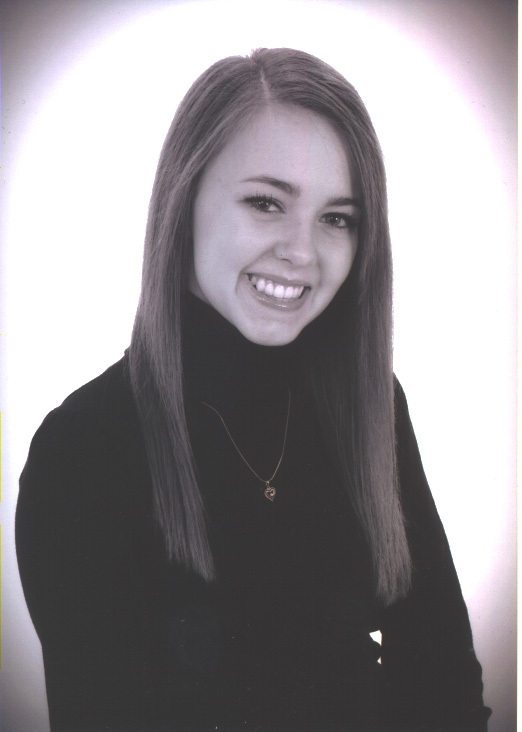 On April 4, 2009, the Swezey’s 20-year-old daughter, Erin, was hit and killed by a drunk driver whose blood alcohol content (BAC) was more than three times the legal limit. The driver, a 32-year-old metro man, had just rear-ended another car. In an attempt to flee that accident, he turned his vehicle around and began driving over 100 miles per hour on the wrong side of the Kilpatrick Turnpike, hitting Erin’s car head-on. He also died in the collision. The Swezey’s contacted State Sen. Clark Jolley and Rep. Jason Nelson to push for tougher DUI laws in Oklahoma. “This is not an easy process for us, but we’re willing to share our story for Erin in the hopes of passing legislation that may prevent another family from going through such a senseless tragedy,” said Dixie Swezey. Jolley is the principal author for Senate Bill 529, the “Erin Elizabeth Swezey Act.” Under the bill, anyone convicted of DUI would be required to have an ignition interlock device for a period of two years on a first offense. On a second offense, the device would be required for five years. Subsequent offenses would mean 8 years of driving with an interlock device. In addition, the words “DUI conviction” would be on their driver license for as long as the person was required to have an interlock device. Mothers Against Drunk Driving (MADD) has announced its support of the measure, calling it their number one priority in the Oklahoma State Legislature. The bill is scheduled to be heard by the Senate Public Safety Committee on Thursday, February 24 at 9:30 a.m. in rooms 419 A and B of the Capitol. If the measure wins approval, it will next be heard by the full Senate. Rep. Nelson will serve as principal author of the bill in the House. The Swezey’s have launched a Facebook page, “Erin Swezey Act,” to educate the public about the bill and its progress in the legislature. Launched less than a week ago, the page already has more than a thousand followers. Updates on the legislation are also being posted on Twitter. 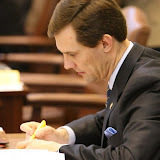 House Speaker Kris Steele authored legislation to reform the structure and responsibilities of the State Board of Education. The Common Education Committee unanimously approved House Bill 2139 today (Tuesday, February 22) which modifies the administration of the State Department of Education. It transfers the administrative control and direction of the Department from the State Board of Education to the State Superintendent of Public Instruction. • Allows the State Superintendent to establish divisions and positions within the Department. • Removes the State Board as the governing board of the Department. • Requires the State Superintendent to prepare a departmental budget and submit division reports. • Clarifies and updates language relating to the administrative duties of the State Superintendent. • Establishes powers and duties of the Superintendent related to the Department. The State Board of Education would remain in charge of supervising public instruction; overseeing curriculum and implementing education policies advanced by the Legislature. The measure now moves to the full House. Governor Mary Fallin today released the following statement after the state Board of Equalization met to certify the latest revenue estimates. New revenue figures show the state will have $106.4 million more than estimated at a previous board meeting in December. The revenue estimates certified by the Board of Equalization were enough to enact the income tax trigger in state law, meaning the individual state income tax rate will drop from 5.50 percent to 5.25 percent. “I’m encouraged that revenue collections were enough to ensure the state income tax rate will be lowered to 5.25 percent. 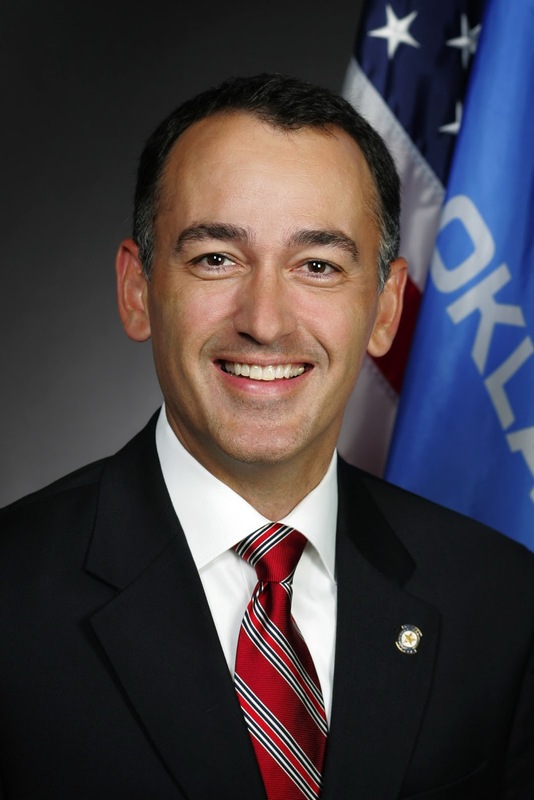 These tax cuts will provide relief to Oklahoma families and small businesses and continue to make Oklahoma a more competitive state in today’s global economy,” Fallin said. Legislation designed by Governor Mary Fallin’s Workers’ Compensation Study Group and authored by Senator Anthony Sykes and Senator Patrick Anderson was unveiled and passed today at a Senate Judiciary Committee hearing. The legislation, SB 878, is a comprehensive overhaul of the current workers’ compensation system and would reduce costs to businesses while maintaining a fair playing field for both workers and employers. A House bill that creates the Foster Care System Improvement Task Force passed the full House today 92-1. 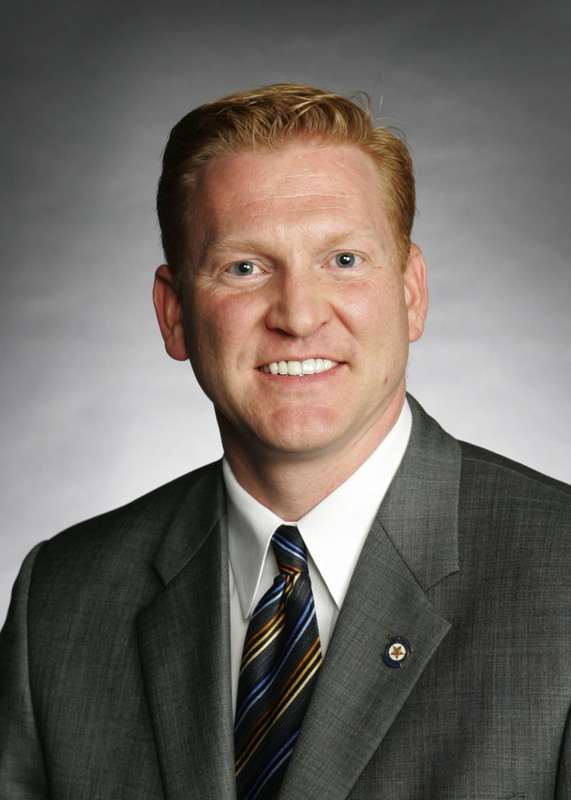 The purpose of HB 1359 by Rep. Ron Peters, R-Tulsa, is to review the state’s foster care system and to make recommendations to the Legislature and Governor on the areas of the system that need improvement. The recommendations will include identification of desired outcomes for children and families in the system, best practices to assist in achieving the outcomes, accountability standards used to measure success in meeting the outcomes and an estimated cost for implementing the recommendations. The measure now goes to the state Senate for consideration. Legislation that would require schools to devote a minimum percentage of their spending on direct instructional activities was passed by a House appropriations subcommittee today. House Bill 1746, by state Reps. Jason Nelson and David Brumbaugh, would require school districts to spend at least 57 percent of total yearly expenditures on direct instructional activities in the 2011-2012 year, at least 60 percent in the 2012-2013 year, at least 63 percent in the 2013-2014 year, and at least 65 percent in the 2014-2015 year and thereafter. School districts could file for a one-year exemption if they could show that they had reduced administrative expenses. The legislation would also require school districts to gain approval for any plan to dismiss or lay off teachers. Nelson said that total yearly expenditures would not include capital construction, debt or bond payments. 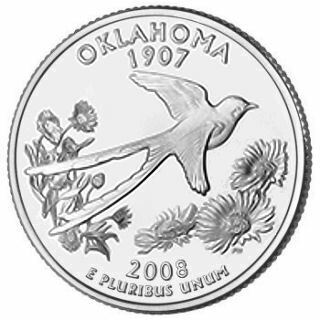 The legislation would require school districts to file an annual report to the State Board of Education that would include the percentage of total expenditures that had been used to fund direct instructional activities, the percent of total expenditures used to fund direct instructional activities related to courses that are subject to assessment pursuant to the Oklahoma School Testing Program and the percentage of full-time employees in the district whose job function was to directly provide classroom instruction to students. “Obviously, accountability needs to be a part of any reform and the reporting ensures that school districts are doing what the new law requires,” Nelson said. “We spend hundreds of millions of dollars in taxes and in bond issues, but the money never gets to our teachers, students and principals who make our schools succeed,” Brumbaugh said. I became aware of a petition supporting House Bill 3393, the Lindsey Nicole Henry Scholarships, from a google alert this afternoon. I'm not sure who created the online petition but, of course, I signed. Click here if you would like to visit the online petition. Sign this petition if you want every special needs kid to be able to go to the best school for them. House Bill 3393 was a bill started in Oklahoma and modeled after laws like it in Florida and Utah. It states that any autistic child can go to any school of their choice-even if it is outside of their district. If they choose to go to a private school, they would get a scholarship to go there. Legislation approved by a House committee this week could ultimately reduce runaway legal costs for state government. 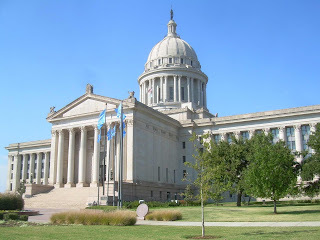 "When millions of taxpayer dollars are being expended on private law firms, the public should have confidence that those expenditures are legitimate and that contracts are not a sweetheart deal for a politically connected law firm," said state Rep. Mark McCullough, R-Sapulpa. "The reforms contained in my legislation will provide greater safeguards against such potential waste of public money." "The intent of this bill is to return legal representation of the agencies back to the attorney general’s office, where it was originally vested and intended to reside – not with contract lawyers," McCullough said. "That authority has gradually eroded over the years due to agencies asking for and getting statutory exemptions, and the price tag associated with those outside attorneys has continued to climb." House Bill 1223 passed out of the House Government Modernization Committee this week. It now proceeds to the floor of the Oklahoma House of Representatives. Click here to link to education bills currently being tracked by the State Department of Education. Weekly Message from Supt. 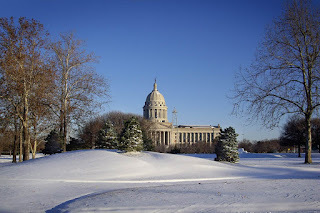 Janet Barresi 2-18-2011 from OK Dept. of Education on Vimeo. Under legislation approved this week, Oklahoma students won’t be the only ones receiving a grade; their schools will as well. Under House Bill 1456 Oklahoma’s public schools would be given an annual grade of “A” to “F” based on student performance on state tests. The legislation is based on a similar plan in Florida. In 1999, the first year Florida issued letter grades for schools, there were 616 schools that received an A or B, while 877 received Ds or Fs. Performance continually improved until 2,317 schools received As or Bs in 2009, and just 217 received Ds or Fs. Under the legislation, annual reports would be issued giving letter grades to schools based on student performance on the Oklahoma School Testing Program. • “F” means schools failing to make adequate progress. • student performance on the end-of-instruction tests. House Bill 1456 passed out of the House Common Education Committee. It will now proceed to the floor of the Oklahoma House of Representatives. One of the greatest financial challenges facing Oklahoma is the status of our state pension systems. The total unfunded actuarial accrued liability of all seven Oklahoma pensions systems is over $16 billion – about $4,275 per Oklahoman and more than twice the size of the entire state budget. Oklahoma’s major pension systems are only about 60 percent funded on average. The most recent information available for the firefighters’ plan shows a 53.4 percent funded level. For police, it is 74.9 percent. The actuary soundness for a private plan is a minimum of 80 percent. The soundness of all major plans has declined over the last decade, and Oklahoma ranks among the worst five states in the nation according to the Pew Center on the States. House lawmakers are committed to enacting reforms that will begin to shore up the system so retirees are protected and other citizens are not unfairly punished. As part of that effort, I have introduced House Bill 1221, which deals with the Oklahoma Firefighters Pension and Retirement System, and the Oklahoma Police Pension and Retirement System. In its current form, House Bill 1221 would adjust benefit levels for new workers entering the system starting in November 2011. Benefits for current firefighters or police would not be impacted. The bill, which passed out of committee this week, contains four major changes for new members entering the system. 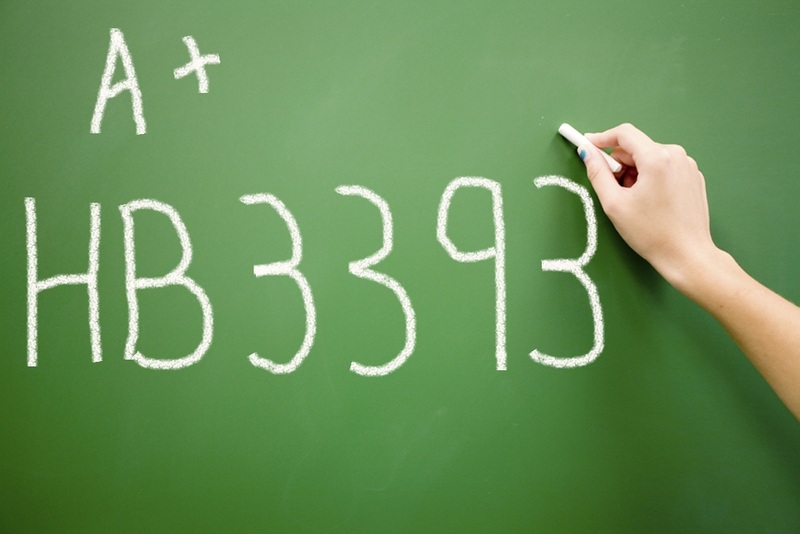 First, it would change the multiplier from 2.5 percent to 2 percent. The bill would increase the retirement age for those entering the system starting next year so retirement would occur in 25 years instead of 20. It would also raise the employee contribution from 8 percent to 12 percent. And, finally, the bill would eliminate the Drop plan, which impartial and independent research indicates is a fiscal drain on the pension system. I believe this is a fair way to begin reform. Promises made to current firefighters and police officers would be kept, and those entering the profession in the future would do so with a clear knowledge of promised benefits. This bill is only an initial proposal. I will be meeting regularly with all concerned parties throughout session. We will work hard to craft a plan that is financially sound, but also fair and attractive to future police and firefighters. I appreciate the firefighters who visited the Capitol this week to express their views, especially those from Sapulpa. It was a great example of democracy in action. This is the first major legislative acknowledgement of the need to address structural funding problems in our police and fire pension systems. By making specific adjustments today, we can chip away at the unfunded liability while dealing with beneficiaries in an open and transparent way that allows them to properly plan for retirement. This process will not be easy or pain free, but if we do not act now, the pension plan for crucial public state employees will be in peril. This is a result that none of us should find acceptable. State Rep. Mark McCullough, R-Sapulpa, represents the people of House District 30. A significant consolidation of state government administrative overhead could be set to take place following today’s approval of House Bill 2140 by the House of Representatives Government Modernization Committee. House Bill 2140 proposes to consolidate seven of Oklahoma’s central service state agencies into one agency. 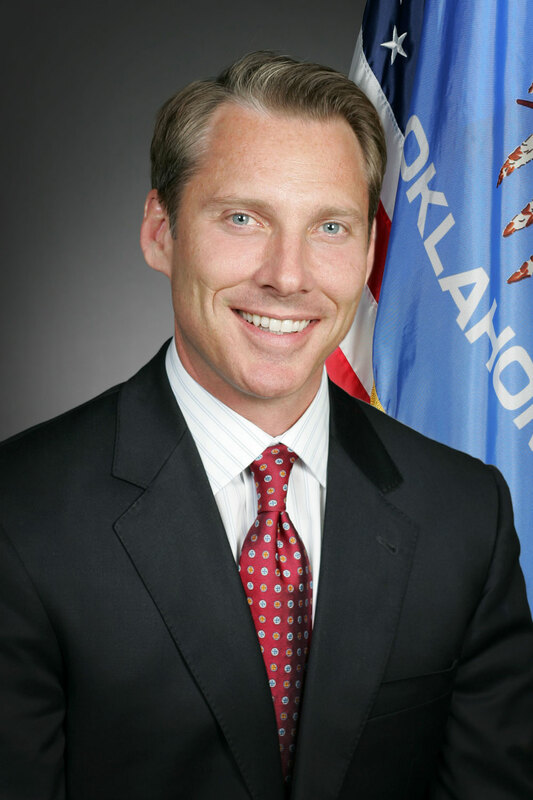 Steele authored the legislation after an interim study found that Oklahoma could realize millions of dollars of savings if Oklahoma followed best practices that are occurring in other states. The legislation is patterned after the central services governance structures used in Montana, Indiana and Utah. Murphey said the bill will also set the stage for future significant consolidations. “This bill makes the case for consolidating state agencies based on similar mission and subject matter,” he said. House Bill 2140 was approved by a vote of 11-2 and now heads to the full House for additional consideration. The bill directs the Director of OSF to consolidate all of the agencies’ administrative functions by December 31, 2011, and to demonstrate a 15% overall cost reduction as a result. A 15% cost savings from consolidation of the above agencies based on their total operating budget figure would be $22,173,934. Where the specific cost savings will come from in the consolidation is left to the discretion of the Director of OSF who shall provide recommendations to the Legislature. State lawmakers will vote today on major reforms that will shore up Oklahoma’s state pensions and provide opportunity for participants to have increased personal control. Many important reform bills have been filed and will be heard. Nonetheless, House Speaker Kris Steele and McDaniel have filed four major bills to reform state pensions. House Bill 1004, by McDaniel, creates the “Leadership by Example Act” and would place all new members of the Oklahoma Legislature and statewide officials into a new defined contribution plan. The new defined contribution plan, “Save Oklahoma,” will build on the existing and successful SoonerSave program. As of June 30, 2010, it had 35,134 participants with net assets of $458 million and no unfunded liability. Another pair of bills would significantly improve the financial standing of state pensions in future years. House Bill 2132, by Steele, would require that all COLAs be fully funded when authorized. House Bill 1006, by McDaniel, would help stabilize state pensions by requiring that a pension system be at least 80-percent funded before a cost-of-living adjustment (COLA) can be authorized for the system. House Bill 1011, by McDaniel, would provide a funding source for COLAs. Under the bill, a portion of the revenues received by the Commissioners of the Land Office would be dedicated to funding COLAs for retired teachers. If enacted into law, House Bill 1011 would be the first dedicated funding source for COLAs in state history. The Commissioners of the Land Office, also known as the “School Land Trust,” manages state-owned public lands to produce income for education. “While these four reform measures will not eliminate the system’s problems overnight, they will significantly improve the financial soundness of the retirement systems,” McDaniel said. McDaniel noted that 10 years ago the state’s unfunded pension liability was just over $6 billion. According to official actuarial reports, the unfunded liability now totals more than $16 billion – more than twice the size of the entire state budget. With a growing portion of the state’s budget being needed to fund retirement plans, there are fewer tax dollars available to support core government services, he noted. In addition, the unfunded liability threatens the state’s bond rating. All four of these measures, along with several other important reform bills, will be heard today in the House Economic Development, Tourism and Financial Services Committee. The executive directors of the major pension plans are invited to make public comment regarding these reform proposals. 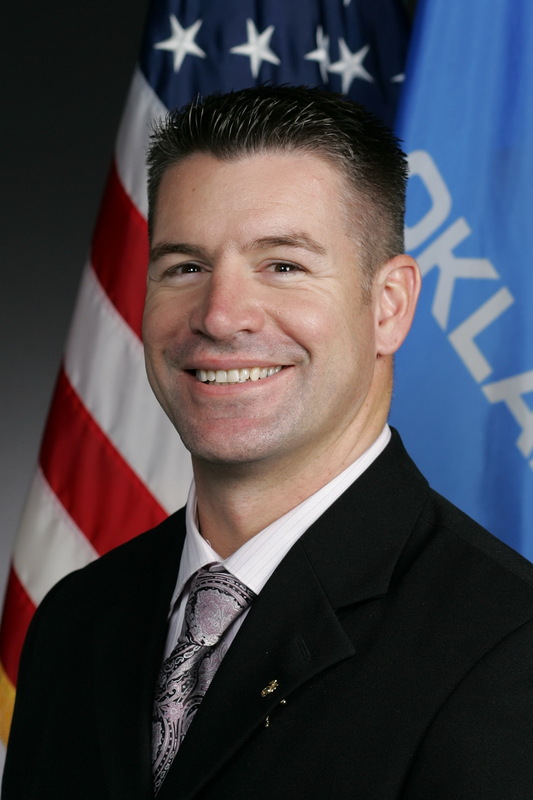 Oklahoma state Senate Education Chairman John Ford offered a second bill on Monday (February 14) to restructure the state Board of Education. The measure, Senate Bill 435, was approved by the Education Committee by a vote of 9 to 5. Ford also authored SB 718 which was approved by the same committee last week. He said that measure had the same goal in mind — ensuring the Superintendent would have the authority to implement the improvements and reforms the public had supported when they voted for Superintendent Janet Barresi last November. That measure gave authority to make decisions to the Superintendent. Both measures must next be considered by the full Senate. Calls for changes in education department governance have grown intense since members of the board clashed repeatedly with Superintendent Barresi at her first meeting with them. Among other things, board members refused to approve her hiring decisions. Note: Here is the January 2011 revenue report for Oklahoma, as summarized in a press release from the office of state Treasurer Ken Miller. 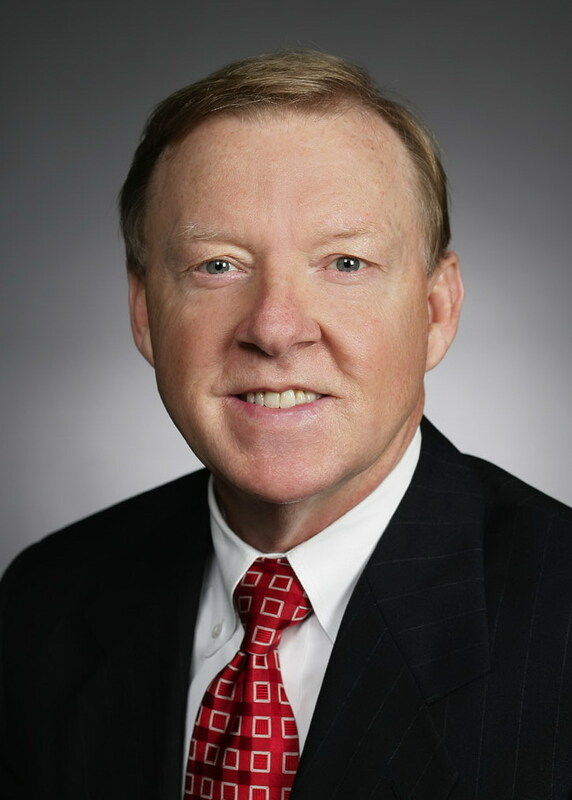 Oklahoma showed healthy economic activity at the start of the new year demonstrating the recovery is taking hold, State Treasurer Ken Miller said today (Monday, February 14) as he issued revenue reports for January. • $23.9 million or 5.1 percent above the estimate. House Speaker Kris Steele today announced the eight members of the special bipartisan committee that will investigate the allegations that led to state Rep. Randy Terrill being charged with felony bribery. The committee’s makeup is evenly divided between Republicans and Democrats. 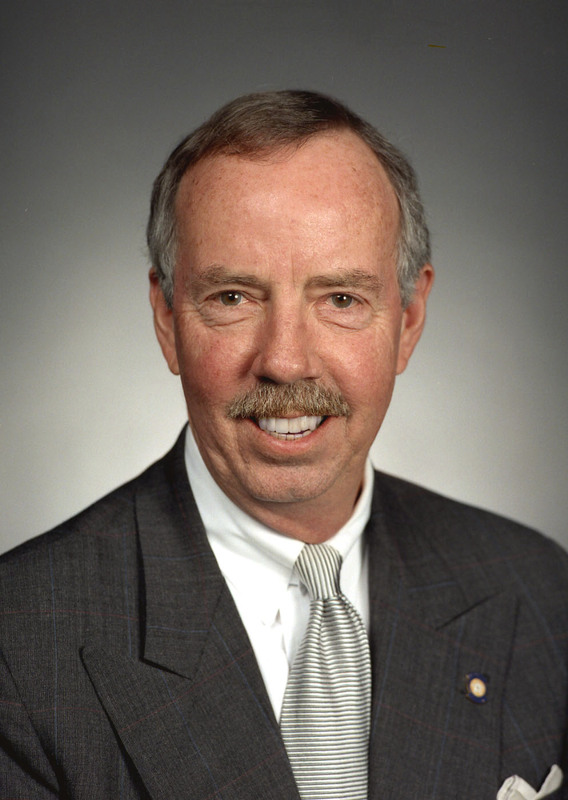 State Rep. Fred Jordan, R-Jenks, will chair the committee. Jordan is a former Marine Corps Judge Advocate and attorney who chairs the House Judiciary Committee. 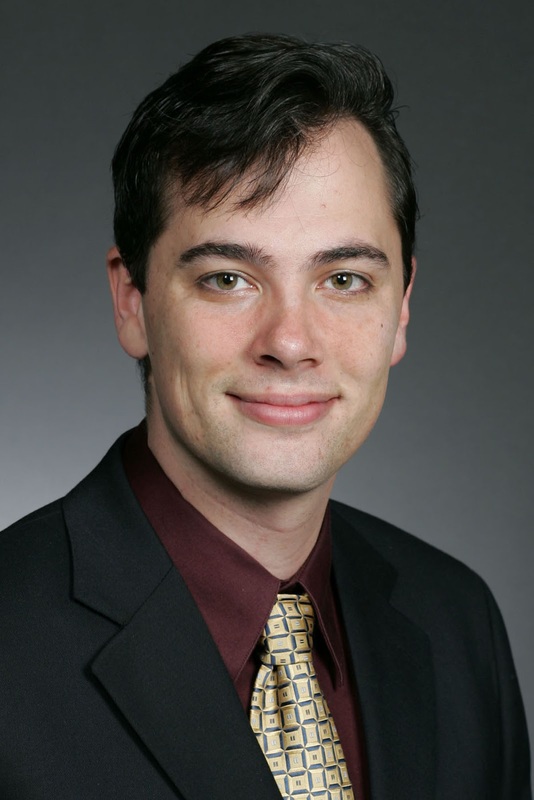 State Rep. Ben Sherrer, D-Pryor and an attorney, will serve as vice-chair. Under the rules adopted, the committee members cannot discuss the investigation while it is ongoing to protect the member under investigation and all witnesses, as well as to protect the integrity of the process. However, all the group’s findings and recommendation will be released to the public. The rules adopted call for a multi-part process. In the first phase, the committee or its counsel will conduct an investigation and gather evidence. Upon completion of the gathering process, all information will be provided to members of the committee. At that point, committee members will determine if the evidence is sufficient to warrant additional proceedings. If so, a written report outlining the evidence will then be provided to the member under investigation, who will then have 14 days to respond in writing and to request an opportunity to present additional evidence. At the conclusion of that process, the committee will vote on whether or not to recommend disciplinary action to the full body of the Oklahoma House of Representatives. Throughout the process, the committee will have subpoena power to compel witness testimony and production of documentary evidence. Upon completion of its work, the committee will submit a report of its findings to the House, which will be filed in the chief clerk’s office. The report will be made available to the public. “The public has a right to know how a decision was reached and why, and the report will provide those answers at the appropriate time,” Jordan said. The final decision would then be left up to the full membership of the Oklahoma House of Representatives during a floor session. Click here to view the FY2012 Executive Budget book. Weekly Message from Supt. Janet Barresi 2-11-2011 from OK Dept. of Education on Vimeo. Deaconess Pregnancy and Adoption Services highlighted for valuable service to pregnant women and families. Attorney General E. Scott Pruitt today presented a check for $1,000 on behalf of Blue Bell Creameries for Deaconess Pregnancy and Adoption Services (DPAS). Deaconess executive director Dierdre McCool accepted the check during a ceremony at the service’s headquarters in northwest Oklahoma City. Founded in 1900 on the unsettled plains of Indian Territory, Deaconess Pregnancy and Adoption Services is the premier, care-oriented adoption agency in the Oklahoma City area. Serving the entire state of Oklahoma, the service has helped more than 10,000 women in crisis and has created more than 5,000 new families through adoption. Deaconess Pregnancy and Adoption Services helps women in crisis pregnancy, aids couples through adoption and works with adopted children to reconnect with their birth families. For more information on Deaconess Pregnancy and Adoption Services, go online to www.deaconessadoption.org or call (405) 949-4200, (800) 567-6631. The week started with Gov. Mary Fallin’s first State of the State speech where she outlined an ambitious agenda to improve Oklahoma’s economy. Although the budget shortfall and redistricting will obviously take up much of our time, we still have the opportunity to advance common-sense reforms as well. At the start of this session, we face 1168 bills and 41 joint resolutions in the Oklahoma House of Representatives while lawmakers in the Senate filed 969 bills and 44 joint resolutions. At the same time, we face a hole of $500 million to $600 million this year’s budget, which means some tough decisions lie ahead of us. To get a head start on those decisions, we held pre-session budget hearings with state agencies. Those meetings will help us determine where cuts can be made, where duplication exists, and how to best proceed. Illegal immigration will also be a major issue this year. State House and Senate leaders have formed a special joint committee to develop immigration reform proposals. The group includes four members each from the House and Senate, as well as Attorney General Scott Pruitt. Among other things, the committee will develop a reform package that addresses public safety issues and targets crimes associated with illegal immigration. As part of the effort, the group will also consider proposals to better protect taxpayer money from subsidizing illegal immigration. While much work remains ahead of us, the House has already enacted one major reform. 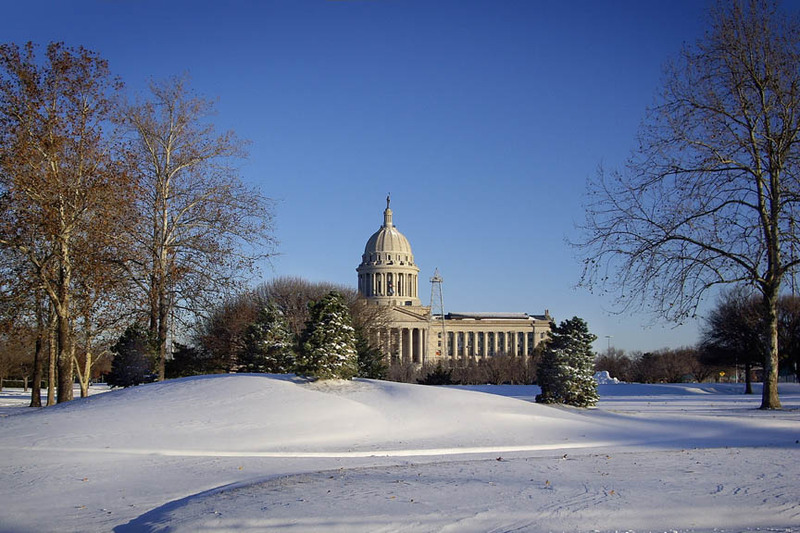 Under the rules of operation adopted on opening day, the public will now have greater opportunity to monitor activity at the Oklahoma Capitol. OKLAHOMA CITY – February 10, 2011 – The Office of State Finance and OK.gov, Oklahoma’s official website, have collaboratively launched an interactive, centralized data center for the State of Oklahoma at http://Data.OK.gov. The new online data center provides Oklahomans with an unprecedented level of openness in Oklahoma’s state government. Data.OK.gov is part of the “Oklahoma Information Services Act,” which will consolidate information, saving the user from having to travel to multiple websites. The website’s mission is to provide accessible information about the economy, public health, transportation, environment, and more, on one website. The State of Oklahoma invites public feedback and dataset recommendations. To submit comments or ideas for new datasets visit http://Data.OK.gov and select the “Suggest” button at the bottom of the screen. The state’s new online data center is a product of a partnership between the Oklahoma Office of State Finance, Socrata, a leading provider of open data services for federal, state and local governments, and OK.gov, Oklahoma’s official website. KFOR: Will Schools Have to Make Up Snow Days? The short answer is, Yes. Schools can make up the snow days by adding hours to the days or days to the school year. Each district will decide how they will make up the lost instruction time. 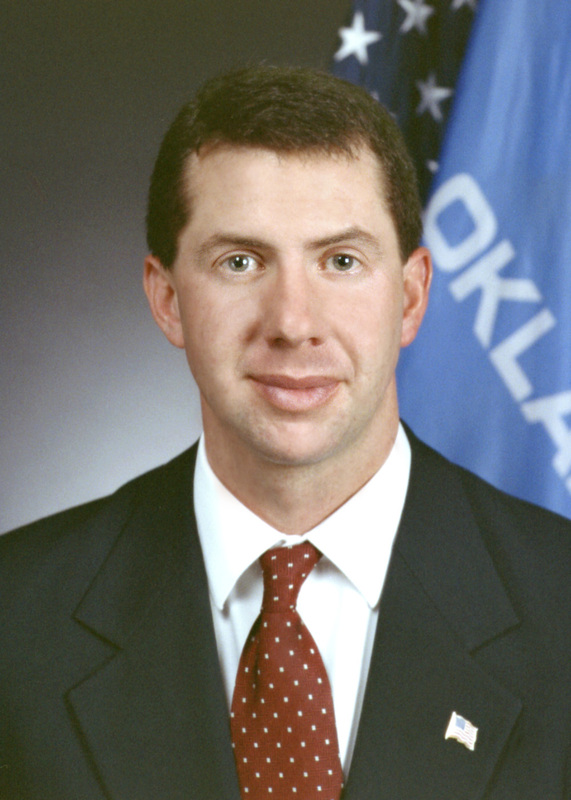 Oklahoma State Rep. Earl Sears is mentioned in the Feb. 21 issue of National Review. Check it out to learn about Rep. Sears new friendship with Gov. Jeb Bush. Thank you to the okschoolchoice blog for the information. You can come listen to Gov. Jeb Bush when he's in town March 30th. Legislation filed by state Rep. John Bennett would require recipients of state aid to undergo routine drug tests as a condition of eligibility. House Bill 1083, by Bennett, would require those applying for state-provided assistance to undergo urine screening for illicit drugs upon initial application and then every six months following. The cost of the test would be deducted from the first payment to the applicant if he or she passes. Any applicant failing or refusing to take a drug test would forfeit eligibility for state-provided benefits for the next 90 days. An individual who fails a drug test while receiving benefits would be ineligible for further benefits for one year. Under the bill, the decision to deny services could be appealed and overturned if the applicant can show the testing process was faulty. Bennett, who previously worked on a Drug Task Force for the local sheriff’s department, said his constituents are concerned when they see local drug dealers receiving state benefits. House Bill 1083 could be taken up soon after the Oklahoma Legislature convenes on February 7.